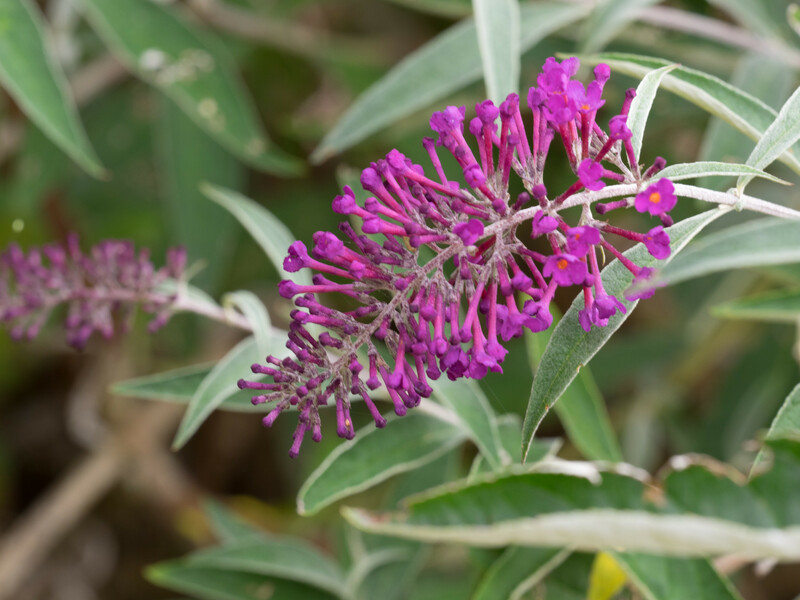 Silvery willow-like foliage and compact habit are the signature qualities of the Nanho Group. 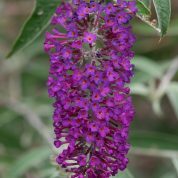 If you are looking for smaller less wild-looking shrubs, B. 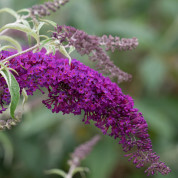 ‘Nanho Purple’ is the one to go for and also more compact than B. 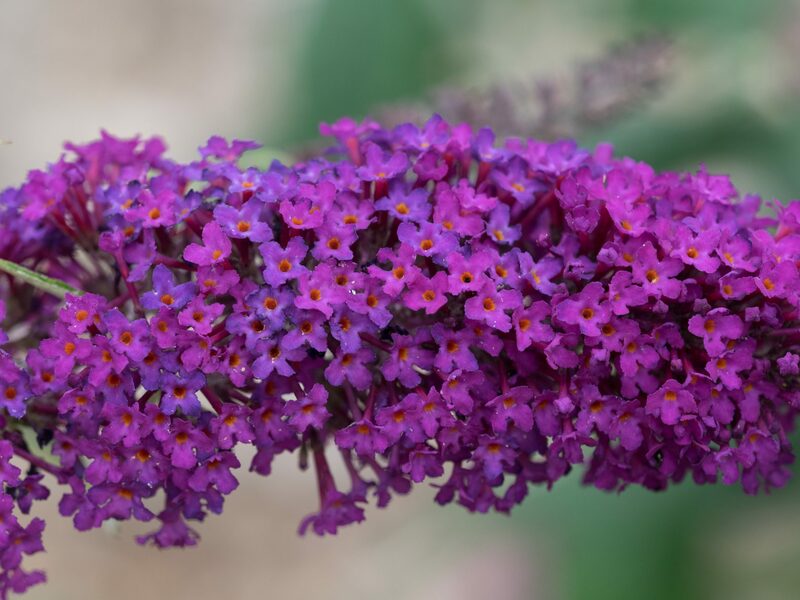 ‘Nanho Blue’. 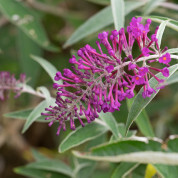 The silvery grey green leaves provide the perfect backdrop for the rich purple -violet flowers with an orange throat. 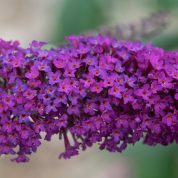 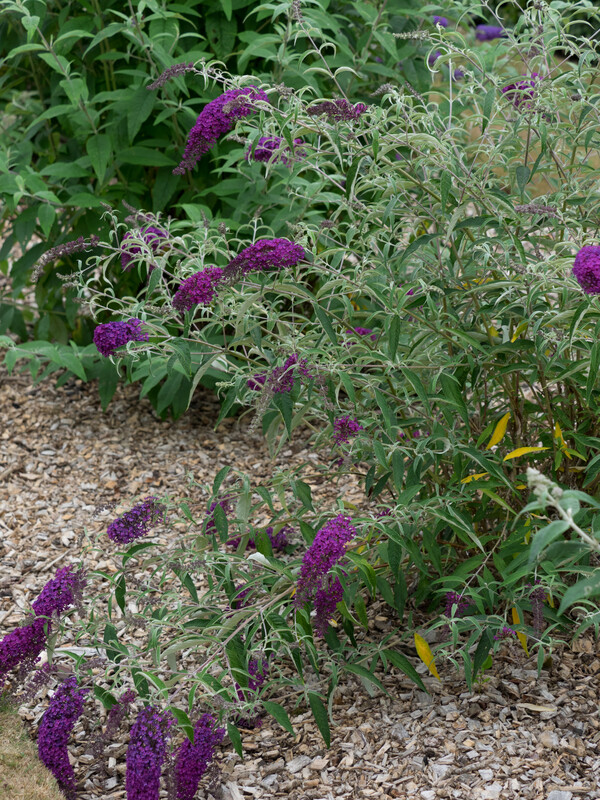 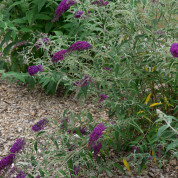 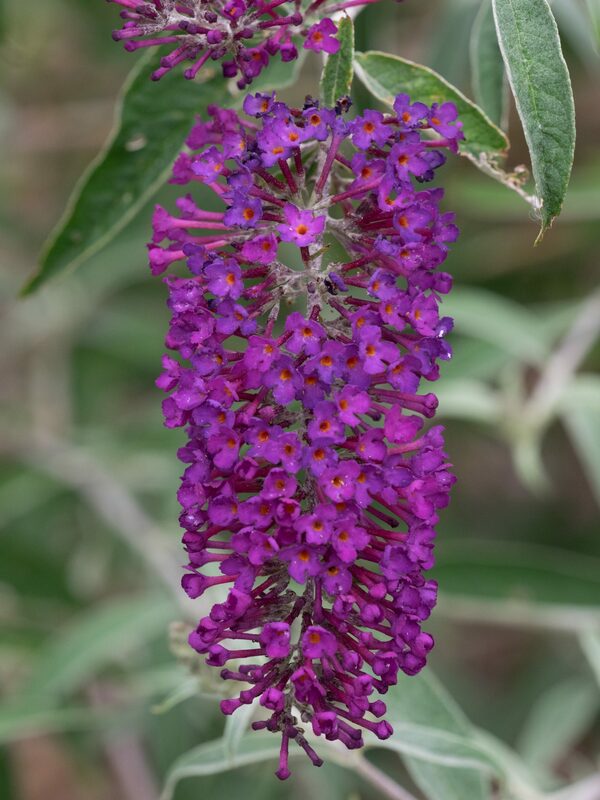 Buddleja davidii ‘Monum’ (selling name Nanho Purple) is a hybrid cultivar derived from a crossing of B. davidii var. 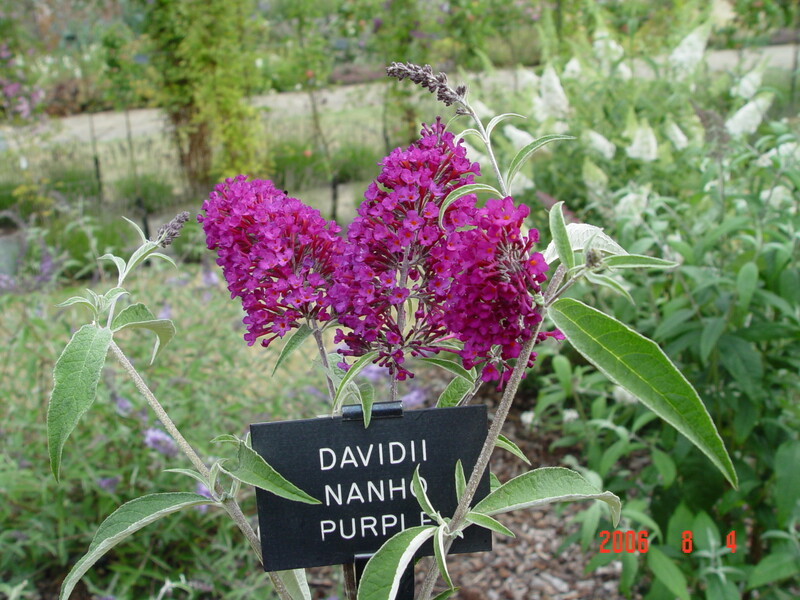 nanhoensis and B. 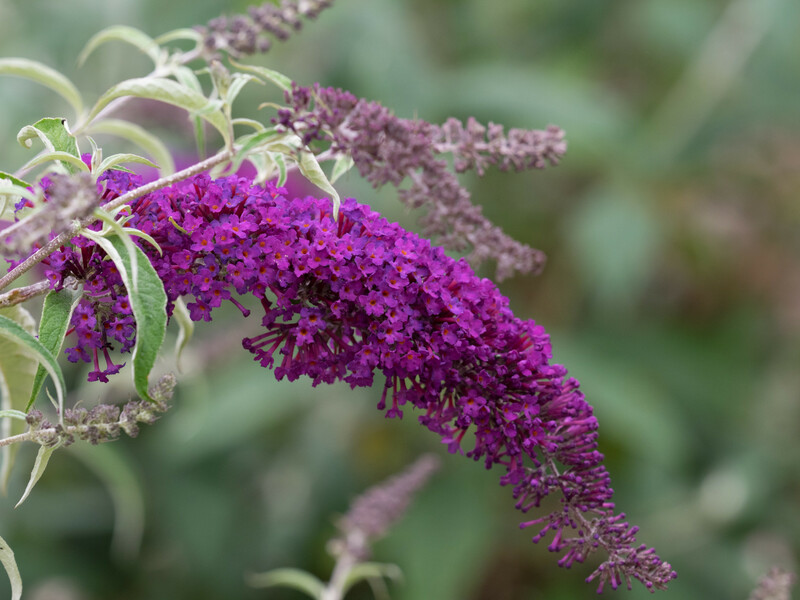 ‘Royal Red’ back-crossed with B.’Royal Red’ by the wholesale Monrovia Nursery of California, USA in 1980. 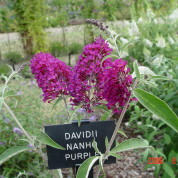 The shrub was accorded the RHS Award of Garden Merit in 2002.